Westmorland County Agricultural Society is delighted to announce that HRH The Countess of Wessex GVCO will stand as President-Elect for 2017. As a keen ambassador for British agriculture, HRH is a past president of the Royal Bath and West, the Royal Cornwall and the New Forest and Hampshire Shows, and is Patron of the Association of Shows and Agricultural Organisations (ASAO), which represents agricultural shows across Britain. The Countess will be joining Westmorland County Agricultural Society having served Devon County Agricultural Association as their President for 2016. 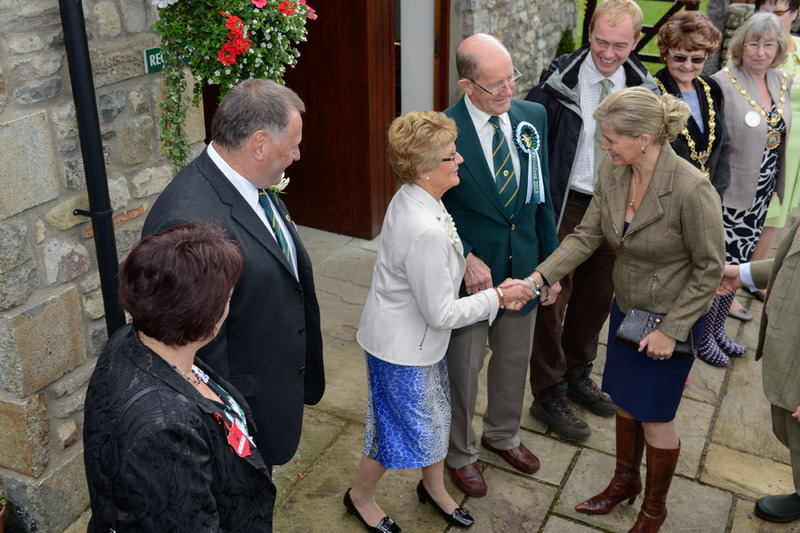 The Countess visited Westmorland Show back in 2013, which was the Society‚Äôs first ever Royal visit in the Show‚Äôs 218 years history. HRH was escorted around the Show by our Chairman David Galbraith to meet with some of the many volunteers, trade stands, exhibitors and visitors that enjoyed the Show. Levens farmer, auction director and Plumgarths Farmshop boss John Geldard was chosen as president of the Society for 2017, and takes over from David Fell.